At Long Family Dental, our primary goal with every patient is to help them keep their natural teeth for as long as possible. 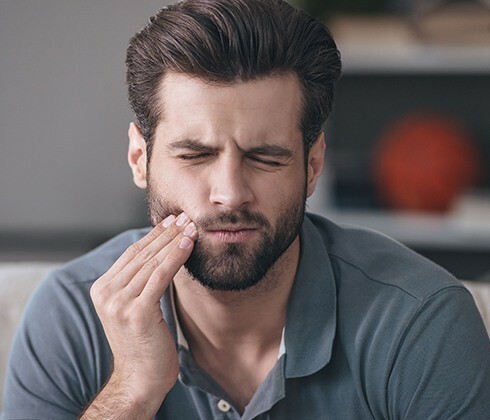 Unfortunately, there are some cases where a tooth is so damaged or decayed that the only available option is to remove it. We take patient comfort very seriously, which is why we offer sedation dentistry as well as a number of other office amenities specifically designed to help patients feel at ease in the dental chair. Should you or your child ever need an extraction, you can trust that we’ll make it a stress-free experience. Why Choose Long Family Dental for Extractions? It has a large cavity that has damaged more than two-thirds of the enamel. It has sustained physical trauma that has rendered the enamel unable to support a restoration. Gum disease has deteriorated the bone surrounding a tooth to the point that it won’t stay in place. More room is needed in the mouth for a new denture. A baby tooth refuses to fall out and is preventing an adult tooth from coming in correctly.